Sky Farm Hermitage is an ideal setting for anyone seeking a retreat in silence and solitude in a quiet and sacred environment. 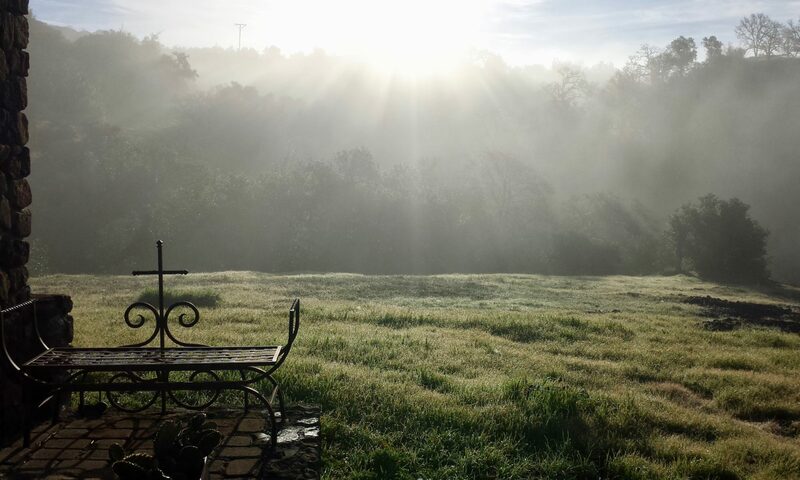 This secluded place in the hills of Sonoma is quiet yet full of birdsong. Here the Spirit teaches the heart through silence. We hope that time spent here will nourish the call to contemplation that echoes deep in the cave of every human heart. Thank you for your loving support ! View photos, find out more about the hermits, personal retreat and book your reservation. On the resource page learn more about the roots of solitude in sacred history. Please consider making Sky Farm your charity of choice for when you shop on Amazon. Your ordinary shopping can double as support for the Hermitage. smile.amazon.com/ch/68-0201334 .